What’s Going on With the Spenders & Vendors? Andrew Gardiner of Barclays took a detailed look at trends throughout the United States regarding the spenders and vendors in the telecom infrastructure industry. “We take a look at the most glaring disconnect from 1Q15 results, namely the dramatic decline in U.S.-driven equipment revenue,” Gardiner wrote. “The market anticipated a slower start to the year for U.S. carrier capex, but the significant double digit year over year declines in vendor revenue suggest a greater shift within operator networks as focus remains on balancing the need to support rising data traffic with optimizing network operating costs. We continue to view the wireless infrastructure end market as challenged, even more so given the material drop in revenue that vendors are experiencing post-4G deployments.” Continue reading here. Kevin Smithen at Macquarie Securities recently commented that, in his view, T-Mobile is unlikely to partner with anyone other than Dish Network in the near future. “We see limited operational synergies between Altice/Suddenlink, and a U.S. wireless player and the lack of meaningful FCF [free cash flow], and upcoming spectrum needs at T-Mo might make the asset less attractive to Altice anyway,” Smithen wrote. “For Comcast, an outright purchase of a wireless network is possible, but likely premature at this point; we believe the company is likely to focus on returning capital to shareholders in the near-term. Continue reading here. Idea Cellular is looking to reduce its debt of 140 billion rupees ($2.21 billion) by selling its 11,000 cell towers throughout India. 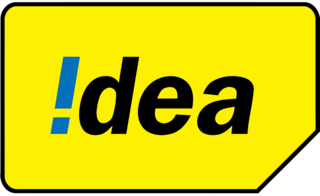 Idea Cellular is the third largest mobile service provider in India, and these assets have drawn the interests of Malaysia’s Axiata, Bharti Infratel, and American Tower Corporation. Idea’s towers have been the subject of several deal attempts over the past few years.American Tower currently owns over 13,000 towers across 22 telecom circles in India. “Spectrum policy is moving towards a very rational endgame, allowing the major operators in India to have enough spectrum to go ahead and deploy advanced data services like we’ve just talked about in the remarks, in India, so that’s a plus. Continue reading here. OSHA announced that millions of workers and thousands of employers participated in the National Safety Stand-Down to Prevent Falls in Construction from May 4 to 15. “Last year’s Stand-Down was a big success. More than 5,000 employers talked about fall protection with more than a million workers. It was a tremendous commitment to safety on the part of businesses and workers alike. I am confident that we can do even better this year,” said U.S. Secretary of Labor Thomas E. Perez before the Stand-Down began. And it looks like they did do better, with a million workers participating in the event earlier this month. “The construction industry is so important to our economy. We all depend on it every day. It drives growth and prosperity,” Perez continued. “It generates good, middle-class jobs that can support a family. But we have to make sure those jobs are as safe as they can possibly be. That’s why fall prevention and this Stand-Down are so important.” Continue reading here. Verizon Communications’ EVP and CFO, Fran Shammo, spoke at the JPMorgan Global Technology, Media, and Telecom Conference yesterday. 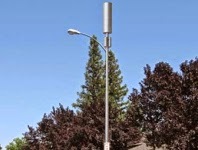 Verizon, like Crown Castle, has been very vocal about their focus on small cells. Phil Cusick of JPMorgan asked Shammo about building and managing their own small cell network, and if the company would want to own fiber or just use someone else’s. “We lease a lot of fiber today. There is a lot of competition actually in the fiber world. So, we actually don’t own a lot of fiber that we have, we lease it, we own the electronics on both ends of it but these are long-term leases and we’ve done this for years, so this is nothing new to us,” Shammo explained. “We don’t need to own all of the small cells, we just entered into an agreement up in Boston for 400 site [densified] antenna system, that someone else build out, got all the zoning, has all the fiber and so we’re leasing that from them. So there is a lot of alternatives out there today to create capacity and it doesn’t mean that I have to own and build and control everything, I can do that through third parties, I mean it similar to towers, I don’t own towers but I still run my network off those towers and as long as I get the protections in the agreements that I need for the longevity then it’s a perfect solution for us.” Continue reading here. 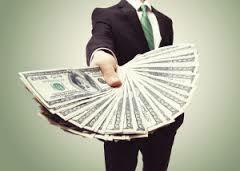 Dish Network revealed their plan to offer wireless voice, video, and data services, according to Yahoo Finance. This isn’t too big of a surprise after the company snatched up nearly half of the spectrum licenses in the AWS-3 auction (although, the licenses have yet to be distributed due to the investigation into the Designated Entity usage). 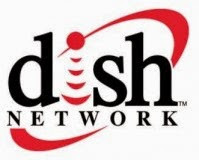 Yahoo Finance obtained confidential a document that indicates Dish is seeking a chief marketing officer to help guide its move into the wireless space. “We are preparing for something big,” the document said, later proclaiming, “This is an incredibly exciting time in our history. We have reinvented ourselves in the past, and we are preparing to do it again.” (Yahoo Finance) Continue reading here. Phoenix Tower International, a company that owns and operates towers and other wireless infrastructure related sites through Latin America and the U.S., announced the closing of a seven year credit facility between its local subsidiaries in Costa Rica and Panama as well as a consortium of lenders led by Banco General, S.A. joined by Towerbank, Metrobank and Banco General (Costa Rica). The credit facility provides debt financing on PTI’s existing wireless infrastructure as well as additional financing for new tower development and acquisitions of wireless infrastructure in Costa Rica and Panama. “The closing of this credit facility with Banco General, enhances PTI’s ongoing commitment to its customers in Costa Rica and Panama. Banco General is a market leader in tower financing in Central America and we are excited to work with them in our continued growth across the region,” stated Dagan Kasavana, Chief Executive Officer of Phoenix Tower International. Continue reading here. 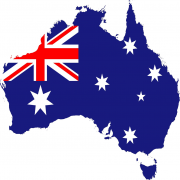 Crown Castle International announced that it has signed a definitive agreement to sell its Australian subsidiary (CCAL) to a consortium of investors led by Macquarie Infrastructure and Real Assets for an aggregate purchase price of approximately $2.0 billion in cash, or approximately $1.6 billion assuming an exchange rate of 0.80 US dollars to the Australian dollar. Upon consummation of the transaction, Crown Castle expects to receive net proceeds of approximately $1.3 billion after accounting for its ownership interest, repayment of intercompany debt owed to it by CCAL, and estimated transaction fees and expenses. “The sale of CCAL allows us to redeploy capital towards our growing small cell networks, which we expect will be accretive to our long-term AFFO and dividend per share growth rates,” stated Ben Moreland, Crown Castle’s President and Chief Executive Officer. “We believe we are in the early stages of small cells deployment and are excited by the opportunities that we see ahead of us. While CCAL has been a great contributor to our business, our decision to divest this business is opportunistic and allows us to re-allocate capital to growth enhancing initiatives in the US market, which we believe is the most attractive wireless market in the world for wireless investment. ” Continue reading here. Crown Castle is expecting for bids for its Australian tower subsidiary, Crown Castle Australia, this week and wants a deal signed by the end of next week, the Australian Financial Review reported. They reported UBS has been advising Morrison & Co., a New Zealand infrastructure company, in its offer for the $1.5 billion company. “Morrison is up against fellow infrastructure managers Brookfield and Macquarie Infrastructure and Real Assets. As Street Talk reported a fortnight [two weeks] ago, Brookfield has teamed up with Digital Bridge Holdings, a US-based private equity firm run by Marc Ganzi and former Blackstone telecom chief Ben Jenkins,” the Australian Financial Review explained. Continue reading here. InSite Wireless Group, one of the largest privately owned tower and wireless infrastructure companies in the U.S., has acquired specific DAS and telecommunications assets of Capital Tower Group. InSite has also appointed Richard Grimes, former Chief Executive and Co-Founder of Capital Tower Group, as its Chief Operating Officer of DAS and Small Cells Group. “We looked closely at the quality of leadership at CTG, as well as their deal portfolio, and it made sound business and strategic sense to reach out in an effort to bring both of those assets into our growing company,” said David E. Weisman, President and CEO of InSite. “This acquisition avails us of a top-tier senior executive in Rich Grimes, whose knowledge and reputation in the wireless infrastructure industry is excellent and well known. It also adds several DAS locations to InSite’s existing portfolio, along with an immediate influx of new business opportunities.” Continue reading here. Los Angeles, California, is close to having the first-ever (in the U.S.) seismic standards for constructing cell towers, according to Reuters. 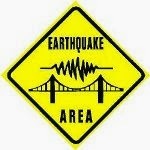 County leaders gave preliminary approval on Friday of regulations that will ensure residents will be able to communication following a major earthquake. The rules still need to be approved by the Los Angeles City Council, which could occur as early as this week. “In the event of an earthquake or major disaster, the ability for our first responders to communicate, and for everyday Angelenos to call for help or reach out to our friends, family and loved ones, is critical in our ability to respond to and recover from traumatic events,” City Councilman Bob Blumenfield, who sponsored the measure, said in a written statement. Continue reading here. After Crown Castle’s announcement that they would be acquiring Sunesys, and the company’s 10,000 miles of fiber, analysts were curious whether this is solely for their small cell undertaking or something else. Colby Synesael of Cowen and Company noted, “At $1 billion we can’t simply argue they are getting underutilized fiber assets that they can use for their small-cell strategy. We still like Crown as our favorite tower idea and think what they are doing makes sense, but we do think the deal means they’ve gone down a path that wasn’t previously considered.” During the quarterly conference call, it was made clear that this is the company’s fifth fiber acquisitions, including two other transactions discussed on the call, Access Fiber Group and another company. While both deals are much smaller than the Sunesys deal, they are crucial to the business plan. “At $1 billion (and 15x last twelve months EBITDA) we can’t simply argue they are getting underutilized fiber assets that they can use for their small-cell strategy,” Synesael explained. Continue reading here.